Hernando de Soto (ca. 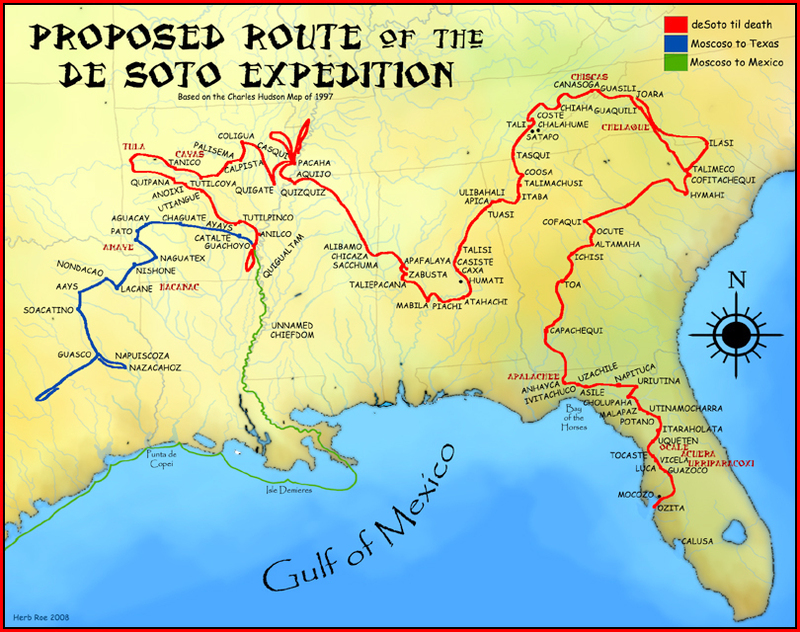 1496-1542) was a Spanish conquistador who explored the southeastern United States for Spain. He was appointed governor of Cuba in 1537 and led Spain's first exploration of the interior of present-day Alabama in 1540 as he searched for El Dorado, a mythical city of gold. DeSoto Caverns in Childersberg and DeSoto State Park outside Fort Payne are named for him.